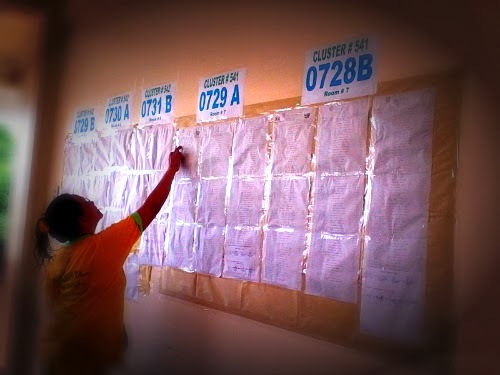 Early in the morning of October 27, all DAVAO COMELEC-Board of Election Tellers(BET) are expected to be present in getting all the Brgy. Election paraphernalia's at Sangguniang Panglungsod. 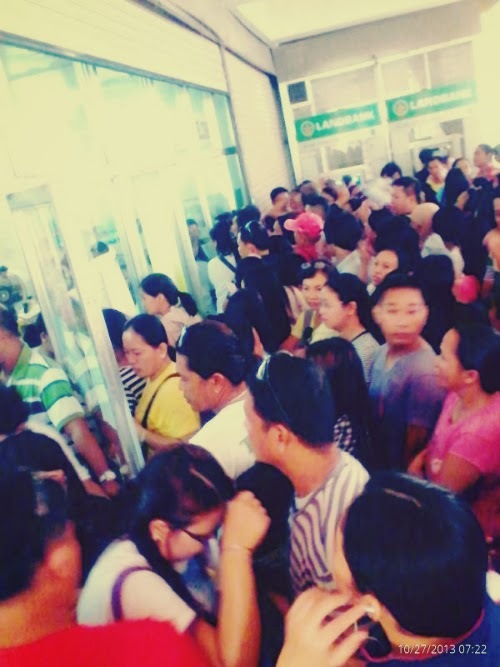 Went at 6:30 in the morning and as usual expect to see a huge line of people coming from different District of Davao City. 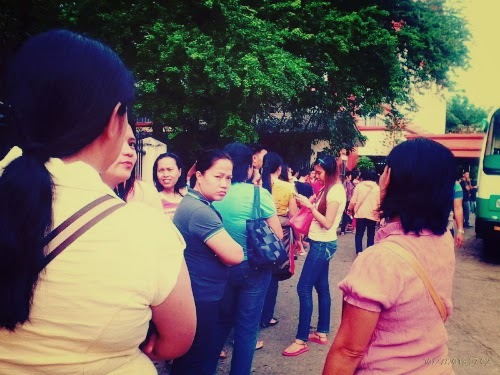 Public school teachers and non-teaching personnel are there to serve the said election. I've been serving as Board of Election Tellers since I am 18 years old and every election different scenario I always encounter. Maybe this time it's not as bad as compared last Presidential Election during the manual year, wherein we have to weigh the votes manually and finish the counting by the next day. For this time we only have to cast our votes for Barangay Level, after President PNOY signs law postponing SK Election for there are calls to reform or abolish the SK as some lawmakers and various sectors said that the youth council become the school of corruption. After we get the paraphernalia's, we went to our respected school and prepare our rooms. 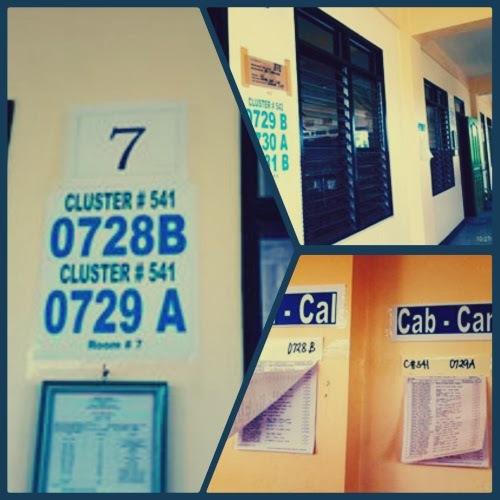 This time I was assigned to serve CLUSTER #541 Precinct #0728B-0729A. 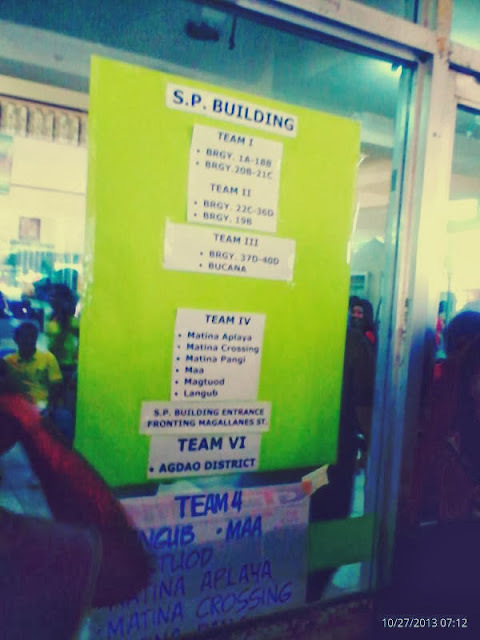 down all the names of the candidates here. Everyone is so early this time except for my BET-CHAIRMAN at 5 in the morning I am in my assigned Cluster Precinct, my Chairman arrive at 6 in the morning. Election start at exactly 7 in the morning. And for a better assistant our school puts a guide map to all voters, in order for them to locate their respected Cluster Precinct Number. 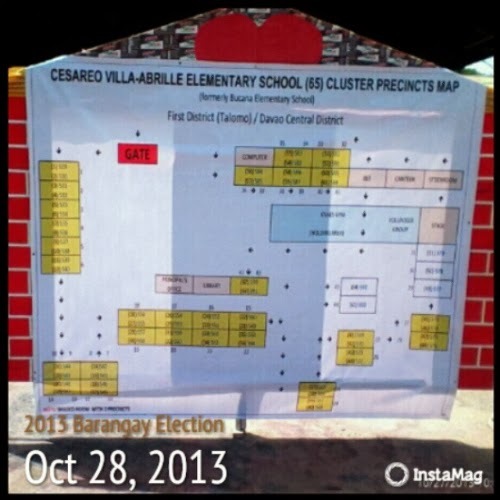 Today voters will cast their votes for ONE BARANGAY OFFICIAL and SEVEN KAGAWADS(Councilors). 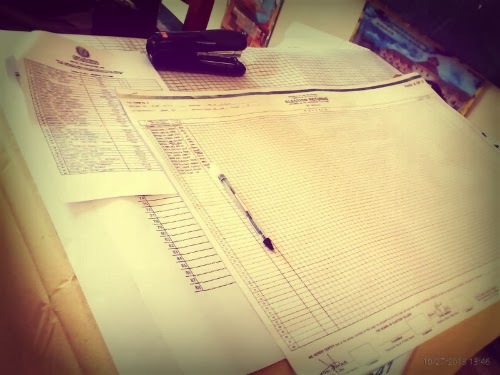 And as a POLL CLERK need to put all the details in our Minutes of Voting. This is the most boring election so I speak. Why? 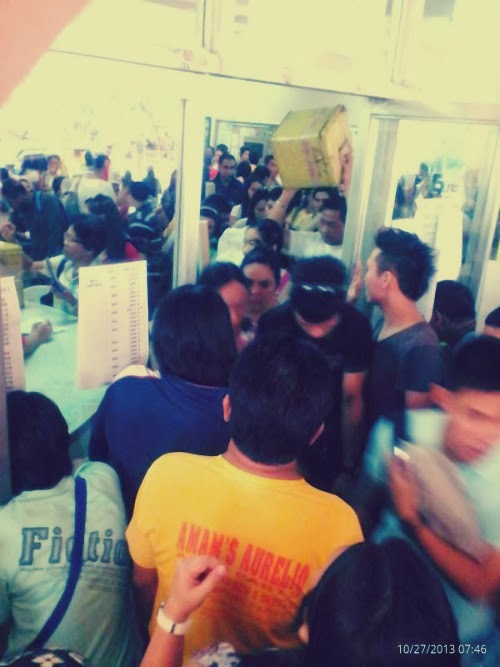 Because out of our 400 registered voters listed both in our PCVL(Precinct Level Computerized Voters List) and EDCVL(Election Day Computerized Voters List) only 178 who cast their votes. Voting has ended at exactly 3 in the afternoon. We have a 30 minutes break before our manual counting starts. We ended our counting at exactly 6 in the evening. Following all the rules stated in our COMELEC-General Instructions. And since I was assigned to deliver the ELECTION RETURNS sealed envelope containing the ORIGINAL to the CHAIRMAN of the Barangay Board of Canvassers, I went to SIR Elementary School together with our BET-Third Member escorted by the PNP. And for our Chairman, she is assigned to bring the ELECTION RETURNS second copy to the Election Officer, third copy to be deposited inside the ballot box and fourth copy to the Secretary of the Sangguniang Barangay, delivered at ALMENDRAS GYM escorted by the Philippine Police. A bit of a hard work as we say but we have nothing to do, as BET we have to prioritize our job that is to serve the election in a peaceable and fair means.